The Pampered Prince/Princess: They will draw you in with their regal air. They are calm and ever so slightly imbued with a feeling of superiority. It is pleasant to meet people who appear confident and destined to wear a crown. But beware. They act superior because they consider you staff—hired help to answer their every need. You may have more sympathy with the pampered prince as he will have to face the real world soon enough and that day is ever closer. They have also been made this way by their environment as a small child. Mummy’s special little boy was protected, never wrong, never at fault, always forgiven and put on a pedestal he never deserved to be on or earned his way up. The danger is you may enjoy their company at first as they aren’t evil and we are fundamentally in an industry where we are conditioned and trained to help those who ask. repeats ‘sadly will come with a financial fee attached’). emotional brainwashing from a young age. In entering into treatment plans with an overly pampered, molly-coddled person, the risk is you find yourself working extra hard usually or no pay, and not really understanding how or why. Somehow they express the need to be taken care of and they are masters at getting others to pamper them. As children, their parents indulged them in their slightest whim and protected them from any kind of harsh intrusion from the outside world. There are also some children who instigate this behaviour from their parents by acting especially helpless. Whatever the cause, as adults their greatest desire is to replicate this early pampering. It remains their lost paradise. You will notice that when they don’t get what they want they often will display baby-like behaviour, pouting or even tantrums. That is one way to spot them, actually. If they are trying to be persuasive or negotiate they may use practised doe-eyed poses or, even more contemptuously, speak with a ‘baby voice’ or act with greatly enhanced offence (like a two-year-old does) when told ‘no’. The first clue that you are dealing with a prince/princess is that despite being 30 years old, they walk in with their parents who are ‘helping’ or offering support. What? I’m sorry… you’ve got a job, have been voting for 12 years, but mummy still does the talking for you…? They are unlikely to accept the concept that they are responsible for their own dental health issues. Nothing is likely to be their fault in their own minds. That doesn’t mean they aren’t open to advice, but your phrasing and terminology needs to be strategically tactful. This list goes on an on, and I expect by now these words have conjured to mind a patient or two of your own. That’s because the pampered prince and princess is the most common toxic type. This equates to a reasonable number of people who attend your practise, and the most common to slip through the net. Confession time: On occasions I will accept these people into my professional life, and still do treat the odd princess. Sometimes it’s because I don’t spot them until it’s too late; other times I want to do the treatment and I act against my better judgement. Perhaps that’s my own vanity! The proven method of managing them is to adopt the persona of a benevolent but firm authority. They need to see you as a kind, firm parental figure—one who is never unfair or rude, and one who will not tolerate irrational or infantile behaviour. There are standards you will not compromise on. Rules and routines make genuine infants feels safe. That’s why kids test these rules with adults: when they find the boundaries they feel safer knowing where they are. It’s a similar situation with the ‘adult child’. You must calmly, patiently and, if possible, charmingly but with utter ruthless authority, show you are in charge and can deliver them to a good place if they wish. They want to grasp control and use persuasion and emotional blackmail to bend you to their will. You may spot them and fear treating them. Let’s explore that.A rude rebuttal, apportioning blame, declining treatment for reasons inexplicable to them, will very likely lead to a complaint. To avoid the complaint, think about what a prince/princess wants. They want to be treated like a prince or princess, obviously…and you just said ‘no’. Oh dear. A princess wants a knight in shining armour and you may ‘wish you had the skills and setup to be their knight in shining armour’…but you don’t. This sort of phrasing could lead to a more realistic outcome or if not, then act as a Get Out of Jail Free card most times. Practise it, say it out loud and add your own nuance and authenticity. Or, if you decide to treat them, be the adult, be firm, be kind, be transparent with fees and paint worst-case scenarios. They will always keep pushing to get their way. It takes no effort from them to do this as it’s just who they are. They are not equipped to handle the harsh aspects of adult life, which is why they manipulate those around them into the pampering role (or resort to drinking and drugs to soothe themselves). 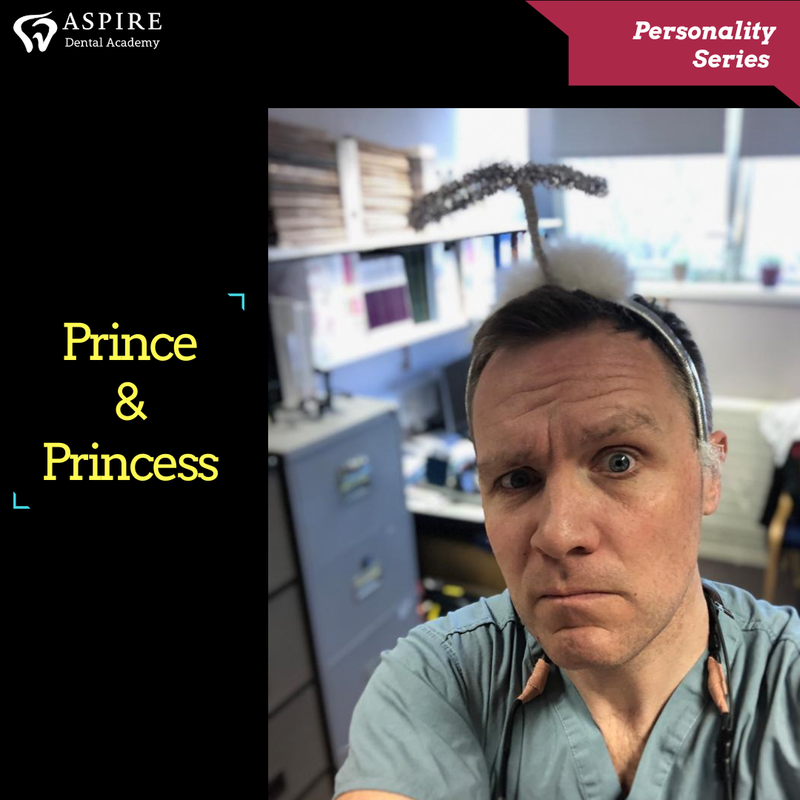 On our Dental Emotional Intelligence Programme we will aid and guide you with different personality types; how to identify, manage and help them. We will deeply study communication with different personalities in order to develop strong relationships with them leading to a reduced risk of litigation and an increase in earning potential.